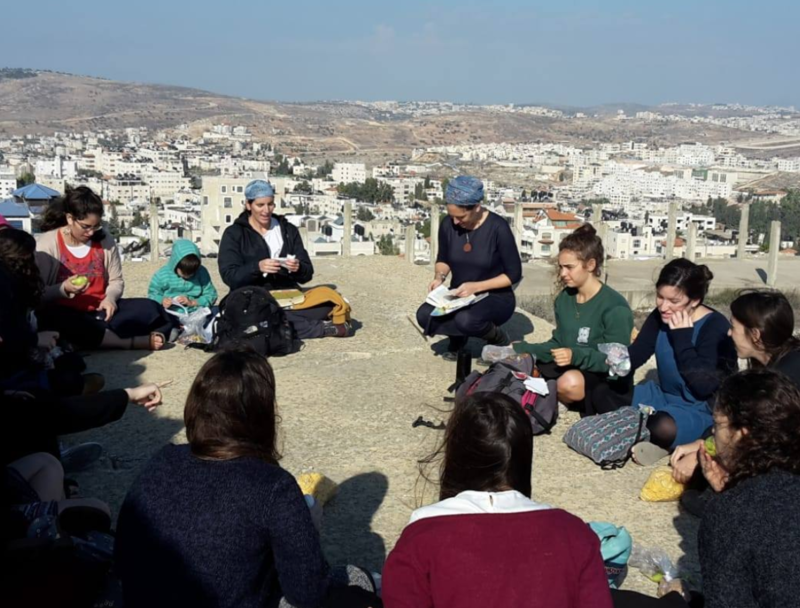 Nishmat students had a special Rosh Chodesh field trip on Friday to Shaul Hamikriat the spot where King Shaul and his son Yonaton celebrated Rosh Chodesh with a feast. They also sang a festive Hallel. Thank you to Netta who led the students on a tiyul through Shiloh where the mishkan was set up, to Hefsi who explained several secrets about the location and especially to Emuna who organized the entire tiyul. This Friday trip was optional and open to students in any program.